This beautifully ornate Heart for Jerusalem Ring features a faceted edge cubic zirconia heart in a ruby red shade measuring 10mm wide. 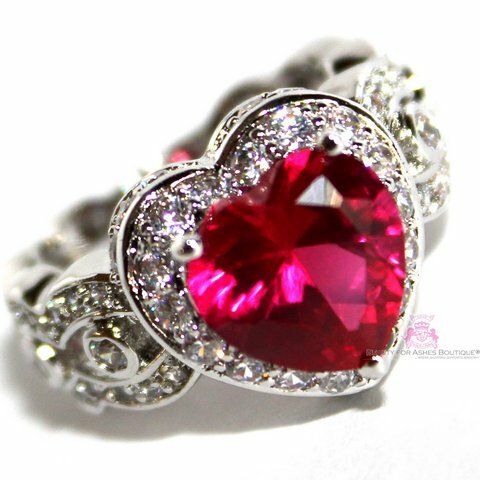 The ring shank and heart surround are carefully encrusted with mini clear czs. An absolutely gorgeous ring for that special someone. Sizes available are listed in the above drop down menu.